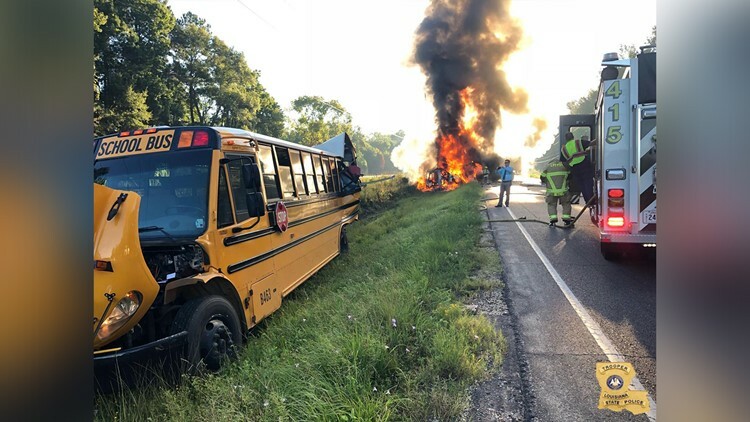 Officials said only three children were on the bus at the time of the wreck, and no one was seriously injured. LIVINGSTON PARISH, La. -- State Police are investigating a wreck involving a school bus and an 18-wheeler early Friday morning. The crash happened on US 190, west of LA 63. No other information was made available at the time.